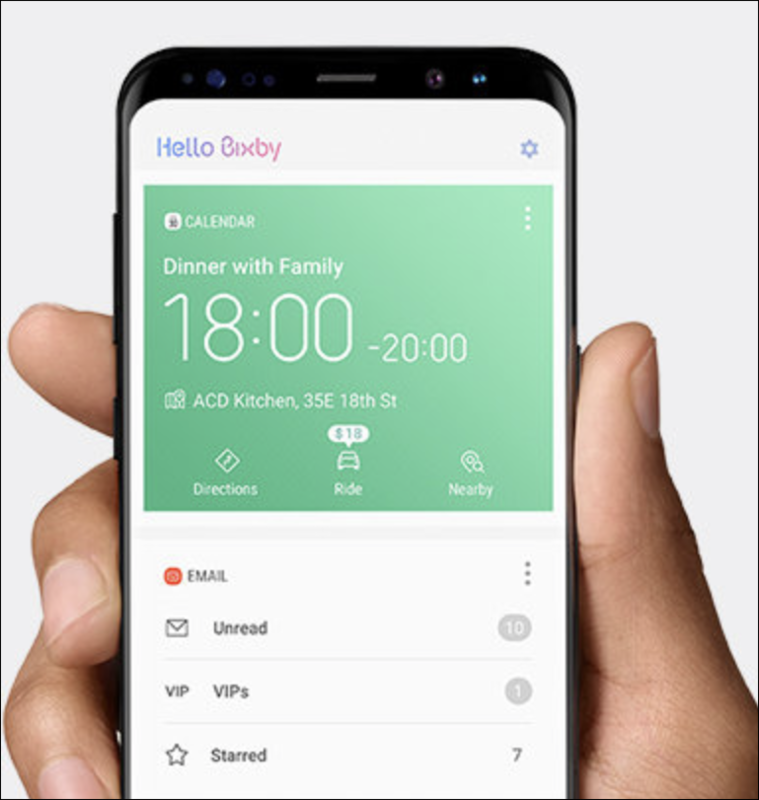 Bixby a virtual assistance agent developed by Samsung. It was introduced with Samsung Galaxy S8 and S8+. Currently it is only available in these two devices, however, it is designed to operate across a range of Samsung products. It is introduced to compete with Siri, Google Assistant, Cortana, and Alexa. This new AI will interact with the users by voice commands. 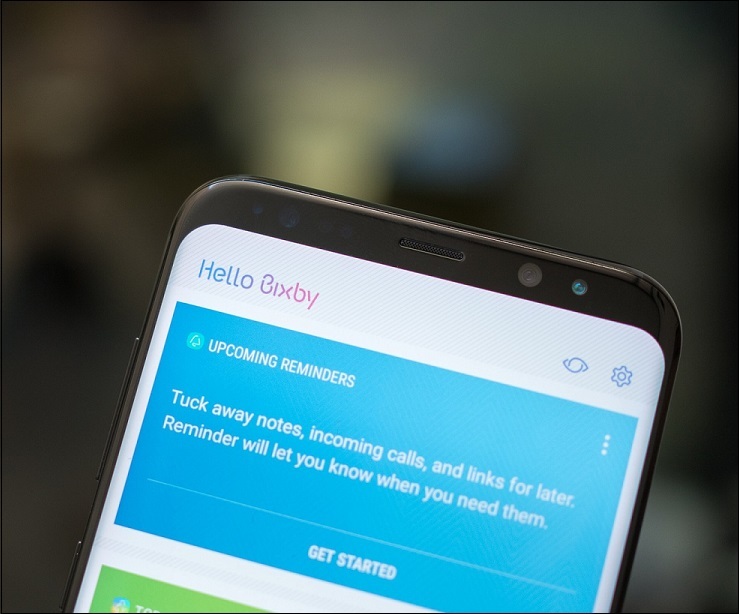 Samsung has included a dedicated button for Bixby on its latest flagship devices i.e. Galaxy S8 and S8+. It is a virtual assistant which according to Samsung it is way much smarter than the other AI in the smartphone industry. Aimed at giving you a new way to interact with your phone, avoiding the touchscreen. Bixby comes with 4 different features known as Bixby Voice, Bixby Vision, Bixby Home and Bixby Reminder. Bixby Voice is like Google Assistant, Siri, etc. you can command to get things done by Bixby in a natural voice. This new assistant will understand your voice and when it is unable to understand it, it will ask for more information. To activate Bixby, you can either press the dedicated Bixby hardware button, or access it from the Bixby Home screen. The new virtual assistant will work across many apps and throughout the device. It can also effortlessly move between touch, text and voice commands. To help you work more efficiently and faster, it can continue working in the background while you complete your task. Apart from using Voice as a method of interaction, Bixby can also interact with real-world objects using the camera. You just have to point the camera in the right direction and Bixby will provide all the information about that object. 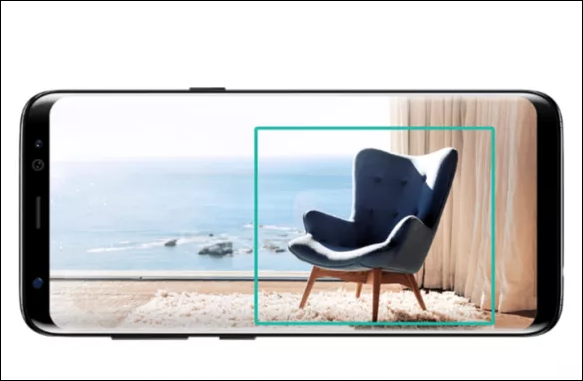 To initiate Bixby Vision, simply open the camera app on your Galaxy S8 or S8+ and tap on the eye icon located in the camera app. Or you can use Bixby Home or the gallery app. After that, just point at the object, place, or image, and tap on one of the options that appear after. You can choose between Place, Text, Image, or Shopping. It also works with old photos that are already in the Gallery. When you open an image in the Gallery app, you will see the Bixby Vision icon at the bottom. Bixby Home contains all the information. The Bixby Home screen contains a card-like interface, which contains everything you need. You will see cards for everything, such as Music, Social media, Uber, Contacts, etc. You can either dismiss, pin, or permanently hide cards by tapping the gear icon in the upper-right corner of an individual Bixby Home tab. You can open it up by swiping left on the Home screen of your device. The information will be displayed in the cards and you can do more by tapping on these cards. You can set Bixby to remind you of something when you visit someplace or going somewhere, or at a certain time or based on various circumstance. Say you have to remember to buy something at the groceries. So when you reach the grocery shop, Bixby will remind you, instead of pestering you all the way. You can also ask Bixby to pause a video you are watching, and it will remind you later where you have paused the video. Using Bixby reminder is simple, just say Bixby or use the button to activate Bixby and set your reminder according to your need. Just use voice command to set a reminder and you will be notified. 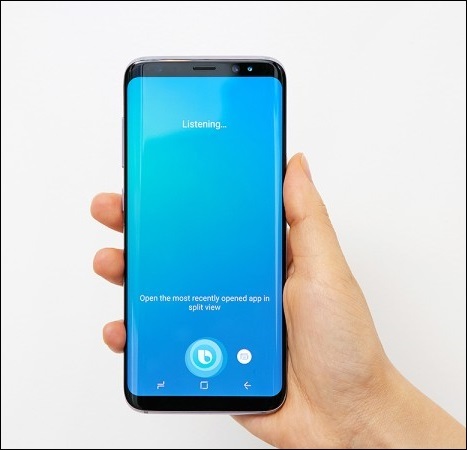 So, That’s the all new Bixby a personal assistant from Samsung. It can perform a lot more tasks than Samsung’s previous assistants. Currently, it is only available on Galaxy S8 and S8+.